(2) they wanted to control Mosul for access to its oil. (4) to draw the USA into the War. Most histories have concentrated on the second, third and fourth of these reasons; but the distinctive contribution of this book is that it explains the importance of the rivalry between Britain and France and Britain’s determination to keep France out of Palestine. [The Balfour Declaration was intended] ‘both to trump the French and to improve relations with the Zionists’ (33). The US President, Woodrow Wilson, was very critical of European imperialism, and at the Versailles Peace Conference in 1917 spoke strongly in favour of self-determination for the Arabs. Under the terms of the Mandate, Britain and France were committed to prepare Palestine and Syria for independence; but because of their own imperial interests, had little intention of doing so. 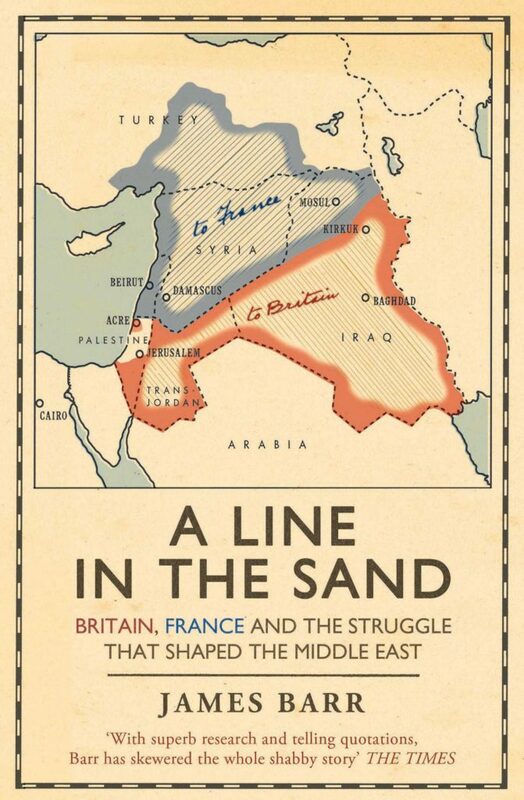 The French wanted to hold Britain to what it had agreed in the Sykes-Picot agreement, while the British wanted to control Palestine and wanted control of the oil in Mosul. The capture of Damascus by Arab forces (under the leadership of T.E. Lawrence) created facts on the ground which Britain hoped would enable the Arabs to control Damascus and thus keep the French out and make it impossible to implement this part of the Sykes-Picot agreement. T.E. 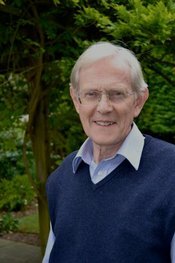 Lawrence played a decisive role in these developments and was always aware of the duplicity of the Sykes-Picot agreement and the Balfour Declaration and of the way Britain had broken its promises to the Arabs. – Lawrence was angry that, when Britain wanted to attack the Ottomans in order to weaken the Germans, it was largely because of pressure from France that Churchill decided against an attack on Alexandretta (on the border between Turkey and Syria) and instead ordered the attack on Gallipoli between April 1915 and January 1916, which proved to be a major disaster. – It wasn’t until May 1917 that he learned the details of the Sykes-Picot agreement from Sykes himself and realised ‘their profound implications’. – One of the reasons he was so keen to lead the Arab forces right up to Damascus was that he wanted to prevent France from gaining control of Syria. He had realised that France wanted to support the Arabs only to ensure that they did not succeed, since a successful Arab revolt would threaten France’s power and influence. Having understood France’s real motives, Lawrence was able to persuade the British authorities in Cairo and London to supply weapons to help the Arab Revolt. This material support helped to turn the tide of the Revolt after early defeats, and enabled them to begin their advance northwards. – When Lawrence met General Allenby, who was leading the allied forces in Palestine, he proposed that, in order to support the allied attack on the Ottoman forces in Palestine, he would lead the Arabs in an attack east of the Jordan at the same time. After Allenby’s successful attack on Beersheba and Gaza in October, the Balfour Declaration was published in order to prevent Palestine coming under international control after the end of the war. Lawrence had not been aware of the plan for the publication of the Balfour Declaration. (56)- When Lawrence and the Arab forces reached Damascus, the contradictory promises Britain had made to the Arabs and the French became obvious. France’s aim in creating Lebanon and dividing Syria was largely to protect its own interests and suppress Arab ambitions for independence. ‘After Gouraud [France’s High Commissioner in Syria] had seized Damascus [for the French] in 1920, his secretary de Caix bluntly set out the options open to the general. France could either “build a Syrian nation which does not yet exist … by smoothing out the deep rifts which still divide it,” he suggested, or “cultivate and maintain all the phenomena, requiring our arbitration, that these divisions give [us]. I must say that only the second option interests me.” Gouraud agreed. In August 1920 he hived off Lebanon in a bid to curry favour with the significant Christian population there, and carved up Syria into four separate provinces that divided Damascus and Aleppo and recognised the minority Alawite and Druze sects. Both Britain and France as colonial powers faced strong resistance from their Arab subjects, and both used violent tactics to suppress protests. They refused to help each other to face opposition from their Arab subjects. As early as 1920, Britain was aware of the problems it had created for itself in Palestine. Gertrude Bell was not at first supportive of independence for the Arabs in Mesopotamia, but later changed her approach and was acutely aware of Britain’s unwillingness to keep its promises to the Arabs. After the collapse of France in 1940, Britain played a significant role in defeating the Vichy government in Syria, supporting the Free French and promoting independence for Syria and Lebanon. Britain’s main aim in doing so was to reduce France’s power and influence and to reduce Arab anger over British policies in Palestine. ‘The collapse of French influence in Syria [in 1945] was immediate and total… The British and French hammered out a deal to leave [Lebanon and Syria] simultaneously – “This should end French intrigues in Palestine,” the foreign secretary note optimistically – and both sides’ troops withdrew from Syria in April 1946, and from the Lebanon that August. After twenty-six years, the French mandate in the Middle East was over. France supported Jewish terrorism in Palestine before and after the establishment of Israel in 1948 as a way of taking revenge on Britain for the way it had undermined French rule in Syria and Lebanon. (Describing a meeting in August 1945 between Tuvia Arazi, representing the Haganah, and Francois Coulet, representing the French foreign ministry.) ‘Recalling a speech that Spears [the British Representative in Beirut] had made a few months earlier, in which the British politician had said that France and the Zionists were the main hindrances to British Middle Eastern policy, Arazi suggested [to Coulet] that there was a more positive basis than a shared dislike of Britain for an alliance between the two. All that was required was for France to rethink its foreign policy. For compared to the widespread hatred that France now evoked across the Arab Middle East, he said, there were coherent Zionist organisations that recognised France’s rightful place in the world, and hoped that the French would assume it once again. James Barr ties together the main themes of the book at the end of the final chapter entitled ‘A Settling of Scores’. ‘The departure of W.F. Stirling to Cairo [after the attempted assassination] marked the end of a thirty-year-long last gasp of empire that aggravated the conflict that remains unsolved today. It was the struggle between Britain and France for the mastery of the Middle East that led the two countries to carve up the Ottoman Empire with the Sykes-Picot agreement, and it was British dissatisfaction over the outcomes of this deal that led them, fatefully, to proclaim their support for Zionist ambitions in the Balfour Declaration. And so the Jews’ right to a country of their own became dangerously associated with a cynical imperial manoeuvre that was originally designed to outwit the French. ‘The Balfour Declaration was an acknowledgement of the fact that the zenith of empire had now passed. Frontiers like Sykes’s “drawn with a stroke of a pencil across a map of the world”, according to one of his contemporaries – which had seemed so assured when they were used to divide up Africa in the nineteenth century, looked arrogant when applied to the Ottoman Empire in the twentieth. It was the flimsiness of their entitlement to redraw the political map of the Middle East that explained why the British now had to use a commitment to a stateless people to camouflage their determination to take over Palestine. When the French realised the depth of Arab opposition to their rule they quickly followed suit, hiving off the Lebanon in supposed deference to the wishes of the Christian community there. ‘Britain’s sponsorship of the Jews in Palestine and France’s favouritism of the Christians in the Lebanon were policies designed to strengthen their respective positions by eliciting gratitude from both minorities. The appreciation they generated by doing so was short-lived, but they deeply antagonised the predominantly Muslim Arab populations of both countries, and the wider region, with irreversible effects. As Britain and France became increasingly unpopular, they were forced into oscillating alliances that only polarised Arab and Jew, Christian and Muslim further. The mandatories’ abrupt changes of policy under pressure, and their refusal to institute meaningful, representative government, made it clear to those they ruled that violence worked. ‘The collapse of France in 1940 destroyed the assumption on which this policy was based – that France would be a vital ally in any fight with Germany. The vacuum gave British officials the opportunity to press for the independence of Syria and Lebanon, to provide the Arabs with the representative government they were still unwilling to supply in Palestine. This effort at distraction briefly worked, but ultimately its consequences made it self-defeating. As onlookers immediately recognised, Lebanese and Syrian independence set a precedent in the countries immediately to the south, and it was not long before the British were ousted there too.